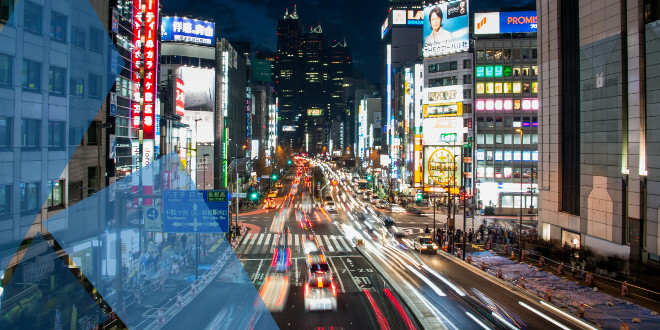 The cryptocurrency world had another turbulent week, token values are down and many countries are considering bans and lawsuits and the EU prepares to implement GDPR (more on this below). Yet it was not all bad news as the US and UK governments continue to look for ways to productively embrace blockchain technologies and the wonderful Nxter community continues to produce great aides to help people begin using our scalable 3.0 blockchain solutions. Last week saw the release of great video demos for using the Ardor client, Lior Yaffe and the Jelurida team responded to community criticism, an Ardor blockchain 2FA mobile app is being developed, Japanese language Ardor guides were released, a Bitswift give-away using a contract on the Ardor blockchain to pick the lucky winner took place, and much more. We welcome back our old readers and warmly welcome our new ones. 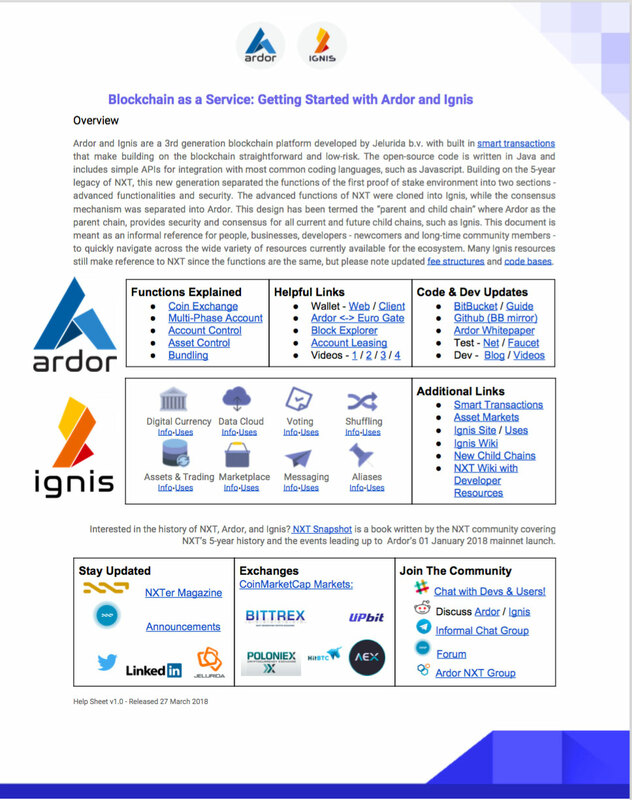 We want our readers to stay up-to-date with the blockchain evolution as it happens and become experts in the Nxt / Ardor / Ignis blockchain ecosystem. So lean back and learn about all of last week’s progress. How to Install Ardor on Mac? Discussion – Is it Possible to Create an Ardor Child Chain that has Child Chains? Bitcoinist – How Can You Integrate Smart Contracts In Your Business Operations? This week’s newsletter is put together by jose, apenzl, James, and rubenbc. Last week Lior Yaffe, co-founder of Jelurida, answered questions. The team members responded, bluntly, about the perceived lack of marketing efforts. Jelurida does not hype their products enough and the value is too low – the team members do not care about the products as much as the community… and more. Lior and others strongly responded to these silly claims. Folks, would you come down? the whole market is down now regardless of which token is listed in which exchange. You want me to start listing all our activities since Jan 1st? Each of the team members put 12 hours a day 6 days a week. Some of the activities are not public but many are public. We are building a long term operation and the transition from open source community to a functional business especially in the public blockchain industry is complex. We have huge technological advantage, with the parent/child chain architecture and this brings us very interesting business opportunists. 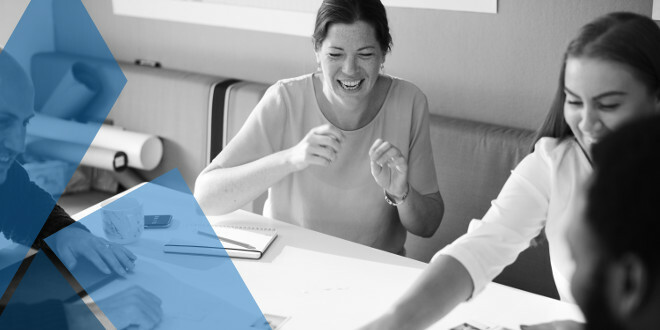 We are building the whole operation from scratch, many of the businesses which approach us are not sure themselves what exactly they want to achieve and how much they are willing to spend. We need to educate them about what is possible now, what can be developed and what is out of the question. Closing commercial deals is much more difficult than posting on Twitter (which we regularly do now). We now regularly appear in conventions, we have a PR company that helps us push positive articles, we push email updates, we hired a company to do translations, we prepared the Starla videos, I just came back from the first ever developer workshop, we hired an office in Lugano, we have Swiss employees, marketing manager, several sales people. We are hiring more and expanding. The corporate culture of Jelurida is not to hype and over promise and not to go for extravagant marketing initiatives. I assume you know that already, it’s not gonna change. I would like to add that I am very confident that the work we are doing is going to lead us to a solid and sustainable organization. Business processes are the key of efficiency in all departments. And we have bottle-necks, like every single startup at this stage. And we put efforts to solve them. Nobody in this community is asking for hyping, over-promising, or extravagant marketing. If that’s how you see or translate the questions and needs from this community imo you’re understanding it wrong. Fact, in my opinion, is that after a couple of months and millions of ICO money, there’s not a lot of improvement showing (!) post ICO. On the contrary, CMC ranking (and that’s why most people are invested) has gone down. Disappointment is totally understandable when every shitcoin without proper product manages to get both price and attention up, while Jelurida fails at this. You should understand that the community does not necessarily care about Jelurida the Software Company. It’s a means to an end, either promoting a more decentralised libertarian world, or just getting ROI on invested money, or getting cool tech to use for projects. Again, pls stop saying the community demands hype and empty promises. Imo that’s not a fair argument. Marketing ability is a very important index for a company to succeed. And engaging with the community in a productive way. Apple needed their major fans to make it what it is. This ship doesn’t sail without wind. We are working with several exchanges to list our tokens and if an exchange comes with reasonable terms we will pay some listing fee to cover their listing costs and provide them with some tokens for promotion. You are right that we are not chasing and bribing exchanges to list us (which seems to be common practice these days). Would you like to see us paying 6 digits € amounts for exchange listing? Don’t we have better things to do with our precious funds? Typical scenario is that we agree with an exchange on terms and promotion, sometimes even sign a contract, then they disappear for a couple of months not even answering our emails, finally getting back to us claiming that the token is listed, it takes 10 minutes to figure out that most basic functions doesn’t work, then they disappear again, we have a couple of these in the pipeline. One good thing I can say about Bittrex is that they made sure everything was 100% operational before they announced support for Ardor and Ignis. 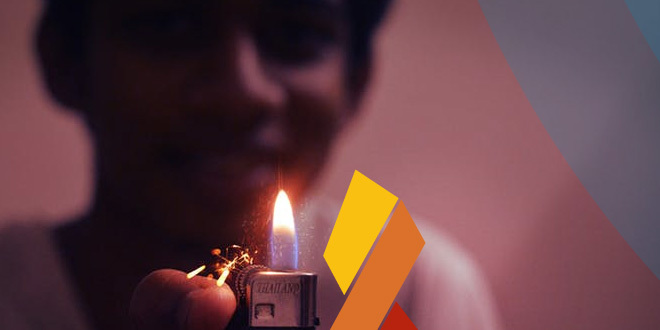 A big shout-out to the new community member, CryptoDemetrius, for compiling a comprehensive list of links for those who want to learn and use Ardor and explore the growing community of child chains like Ignis. On top of the PDF of links, CryptoDemetrius also released some excellent video demos about using the Ardor client and interacting with Ignis, the most feature-rich child chain of Ardor. Learn how to set up an account, learn about important terminology, and much more. These videos are a great way to enter into the Nxt / Ardor ecosystems and can easily get a blockchain novice using blockchain technologies! Japanese language guides were released last week. They explain how to set up a Nxt wallet and how to install the Ardor client on a Mac. Thanks to our great Japanese community members for making these guides! Readers like you can actively vote to get Nxt / Ardor / Ignis listed on more crypto exchanges. Blockchain for Business in Baytown, TX presents their first Meetup, which will be held on April 13th, from 7:00 PM to 9:00 PM at a local Starbucks. The host will be Phillip Salaam and there will be hands-on demos with functional blockchains. We started this group to meet other Blockchain enthusiasts and put together ideas, solutions, and ways to boost the blockchain sector. All skill levels are welcome. We are looking forward to meeting everybody. Meet up at Starbucks, 4557 Garth Rd, Baytown, TX 77521, EE. UU. Introduction to blockchain technology and how it applies to business. 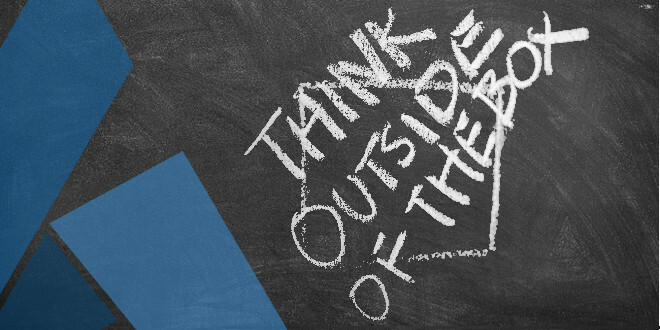 Both businesses and software developers will find a place in this emerging field. We hope to facilitate the future applications from both points of view. We are all here to grow and learn. So share your insights. Last week the Janus team announced that the KREDS token has been added to some new exchanges. Easter is just around the corner and our whole team @Janus_Token would like to wish you a great #EasterWeekend2018 ahead. Here is how to Claim your Kreds Balance if you are a Janus Holder. Last week the team at Bitswift announced that they are working on a new website – and pulled off a nice real-life bitswift.shop give-away using a lottery contract on the Ardor blockchain to find the winner. Just ran a contract on Ardor testnet that randomly chose a winner for our shop giveaway. Really neat stuff. Created an Ardor account for each eligible person. Each person can see which account they were assigned to. Set an account propety on each eligible account to “BITSWIFTWINNER”. This tags each account on the blockchain and only those accounts which are eligible. (The contract we run will only look at these accounts to determine a winner among them). Run the contract which looks for every account tagged with the propety of “BITSWIFTWINNER” and returns one of those randomly as the actual winner, changing its property value field to the current block height value. @lleits you have 7 days to confirm or we will re-roll and pick a new winner. To everyone else, give us a few days to document the contract details and we will let you know how this all worked. Stay tuned for more giveaways from #Bitswift.shop. Join Bitswift on Telegram, Discord and Reddit. Nxters! Community member, Patoshi, is developing an Ardor two-factor authentication (2FA) app for Android devices and is now looking for feedback and testers. 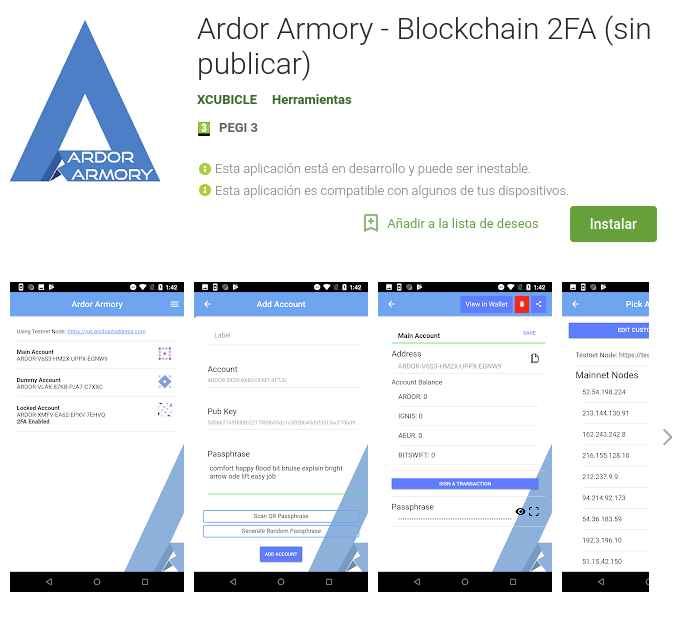 You can help him and his project to take off by downloading the Ardor Armory app, create an Ardor account with it, fund the account and start testing its features. This app lets you conduct transactions on any Ardor GUI wallet without the worry of exposing your secret Ardor passphrase, as all transactions are signed locally inside the mobile app using trusted nodes. ▪ Sign transactions on your phone vs typing in your Ardor passphrase on the desktop. ▪ Broadcast “signed” transactions via trusted nodes or use your own custom one. ▪ Identicon implementation. Unique visual representations of your address used for visual verification. New to offline Ardor Transaction Signing? Learn more. Last week we mentioned a small exchange being under development by SwisAlps, a long time Nxter. Here is an update as they enter the second test phase. A few words about the current tests of the ArdorExchange… The PhaseTestOne is done and seems ok. The amount is now variable, the minimum amount stays a 100 NXT / 100 ARDR but the maximum amount is now 2’000 ARDR. Companies that collect data on citizens in EU countries must comply with new rules by May 25. This is when EU’s General Data Protection Regulation (GDPR) takes effect. In essence, this is about the “right to be forgotten” and how deleting and pruning data can be very difficult with most public distributed ledger technologies – but is a natural part of all Ardor child chains. The GDPR, an evolution of the EU’s existing data rules, the Data Protection Directive (DPD), standardizes data protection law across all 28 EU member states and imposes strict new rules on controlling and processing personally identifiable information (PII). GDPR applies to all organizations holding and processing EU resident’s personal data, regardless of geographic location. The GDPR adds requirements for documenting IT procedures, performing risk assessments under certain conditions, notifying the consumer and authorities when there is a breach, as well as strengthening rules for data minimization – and increasing fines for failures to comply. According to GDPR people must be able to demand that their personal data is rectified or deleted, but you can not just modify or delete data stored in a public decentralized blockchain, can you? Transactional data stored on a blockchain, whether in plain text, encrypted form or after having undergone a hashing process, constitutes personal data for the purposes of the GDPR, and public keys equally qualify as personal data as a matter of EU data protection law. TL;DR: not many public blockchains are compatible with the GDPR. In #Ardor all child chain transactions will be pruned after they are stored deep enough in the blockchain (24 hours) only their hash remains. Parent chain transactions mostly store balances of block validators, less problematic from privacy perspective. End of reminder. 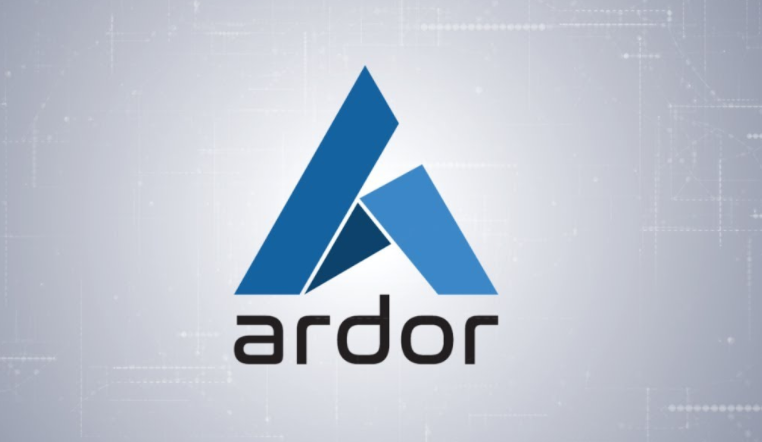 Additional information about Ardor and child chain pruning can be found in Jelurida’s whitepaper. The Nxtforum fostered an interesting discussion: can Ardor clones be synchronized with Ardor? This effectively allows for a child chain to have its own fully functioning child chains. Talk about recursive! The discussion is below and possibly contains insight into what the future of Ardor and Nxt could be. igmaca – Technically is it possible to create an Ardor child chain that has its own child chains ?? that is, create an Ardor clone whose main chain is synchronized with ardor coin. or something similar. Why does Jelurida not offer ardor clones synchronized with ardor? Petko in slack – “In Ardor the forgers validate all child chain transactions before extending the blockchain with the newly generated block. Honest forgers will not build on top of [an] invalid blockchain. This is what secures the network. A new node joining the network processes the ARDR chain, then downloads the snapshot for some block like a day ago (which is buried below enough blocks, but not too old) and processes the child chain transactions from that block until now. This is how the node knows the child-chain balance of some account. (Snapshots are still not released, but that’s the plan). This guest piece by WatchTower speaks optimistically about the future of Nxt and Ardor. His passion is as inspiring as his blockchain use cases are interesting and insightful. A continuation of a previous article, this guest piece by WatchTower highlights the voting system functionality of Ardor with great detail. A good read to learn about the nuances of creating polls and voting on the Ardor blockchain. 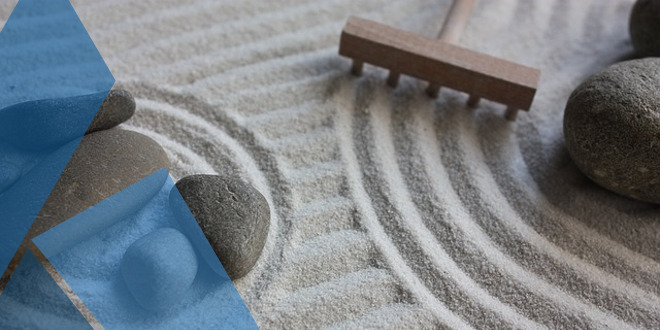 Ever the paragon of wisdom, Lior Yaffe wrote about the importance of the blockchain community coming together and self-regulating itself by introducing standards. 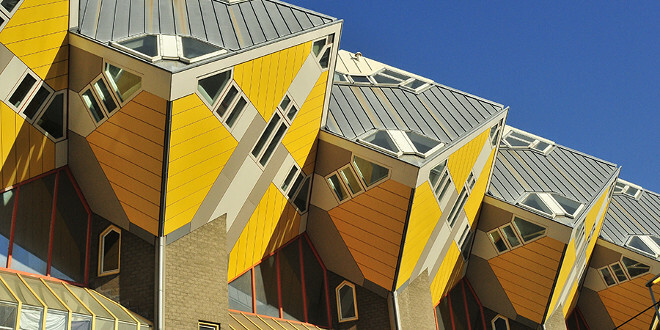 Standardization might cause your eyes to glaze over, but it is a non-trivial thing that leads to significant cost savings and greater rates of adoption. The blockchain community has no standard way to run a crypto exchange or anything else, leading to vast inefficiencies that cause great frustration to end users – look no further than how long it took for exchanges to enable ARDR / IGNIS trading despite announcing support weeks and months in advance. 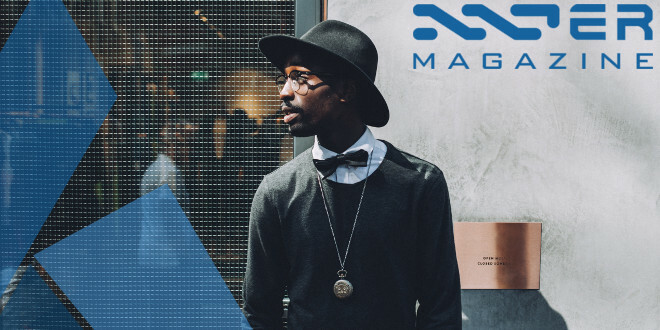 This article explains how the Nxt and Ardor blockchains help businesses implement and deploy smart transactions into their business operations. The unique benefits of using these Jelurida technologies are explained and elaborated below. These are the smaller transactions that crop up in smart contract implement. Korea is one of the biggest markets for ARDR trading. This Korean-language post informs about the unique selling points and advantages of the Ardor and Nxt blockchains, both of which are actively developed and supported by Jelurida. As the G20 met to discuss how best to regulate blockchain tokens, our old friend – Travin Keith – was interviewed. Read his insights about regulation and token differentiation. Travin Keith, Agavon, CEO of blockchain consultancy Agavon, says a more subtle approach is needed, distinguishing between different cryptocurrencies and regulating them accordingly. Bitcoin, Bitcoin Cash, Litecoin, SmartCash, Dash, Monero and Zcash have characteristics that look like currencies, he says, but Ardor, Nxt, Byteball, Ethereum, Waves, Komodo and Lisk are better defined as platforms. They provide their technology as a service, with their coins’ value deriving from a mix of utility value and speculation, he adds. The more cryptocurrencies that are launched, the more differences there are between them all, and the more outdated the idea they are all essentially variations on the bitcoin theme becomes. That is all for this week, Nxters. Follow us on Twitter or Telegram for important breaking updates during the week as they happen. Happy Easter to you all. See you back here next week! We will keep you updated on the growing world of distributed ledger technology. 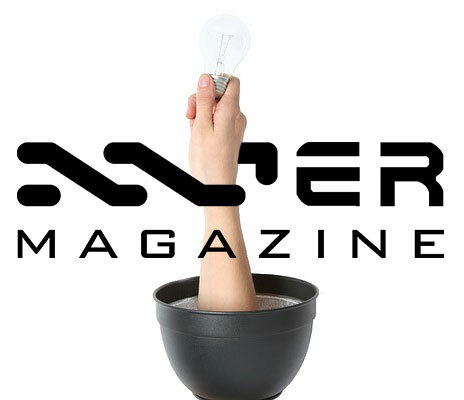 Help Nxter.org grow and help us continue to provide excellent and focused coverage on the ever-growing blockchain space by rewarding us for our hard efforts. Donation address: NXT-TK9J-MEKH-MUP9-HFCH2 / ARDOR-TK9J-MEKH-MUP9-HFCH2.